The concept of ""sitting, standing, lying on the job with Sedus open up"" has changed the way of working in the office and allows ""lounging"" sitting postures. Sedus open mind takes the successful design concept a stage further and reveals an aesthetic that is both clear and reduced to the essential. 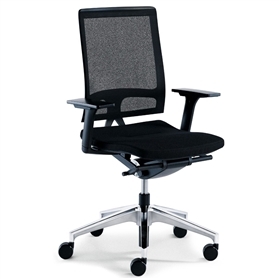 As an innovation, the one-piece backrest frame directly linked to the seat adjustment mechanism ensures a superior pressure characteristic via a highly flexible membrane covering. 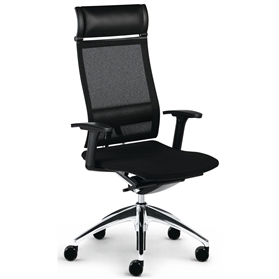 Black mesh back with a choice of seat colours.